While we have already seen the first smartphone with a curved screen from Samsung and are soon expecting to see yet another such smartphone within this month. 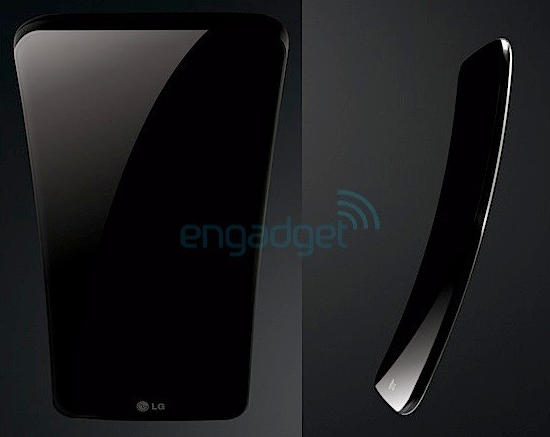 The first rumoured images of the LG G Flex shows the first renders of the LG curved display. The phone bends inwards and is concavely curved at the centre. While the device is expected to feature a 6 inch display with smooth and curved edges. The device is expected to go official by the end of this month. However specs of the device are not yet known. While LG was the first to announce the mass production of the flexible displays, the manufacturer is yet to launch its first commercial device with the curved display. Samsung has already taken lead in the race by announcing the Samsung Galaxy Round with a curved surface.